A 50% discount will be automatically applied during checkout for current members. 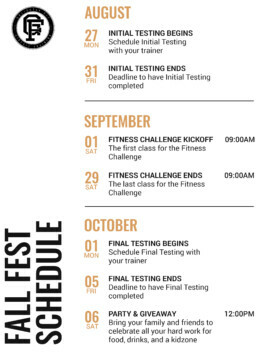 Beginning Saturday, September 1, 2018, Golightly Fit will hold it’s first annual FALL FEST Fitness Challenge. For just $59, you will receive 12 top-notch Group Training classes and testing instructed by certified personal trainers, PLUS a nutritional guide to ensure your success over the course of 30 days. 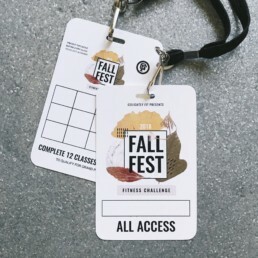 During the 2018 FALL FEST Fitness Challenge, you will be tested on your initial fitness skills, trained in an intense training program over the course of 30 days, and then re-tested to see who made the most improvement! 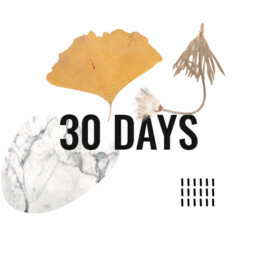 You must complete at least 12 classes over the 30-day period to qualify for the grand prize of $100 cash! Winners will be announced during our 2018 FALL FEST Party & Giveaway on Saturday, October 6 at 12pm. Bring the family out for this fun, community event with food, drinks, prizes and a kidzone. 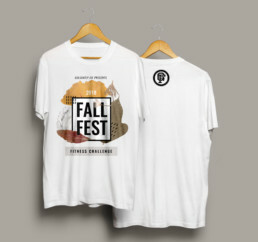 Receive this Limited Edition T-shirt and more gifts from our sponsors during our 2018 FALL FEST Party & Giveaway on October 6, 2018! 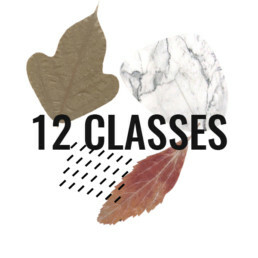 Valid for classes completed September 1 – 30, 2018. Must purchase by August 30, 2018 and complete 12 classes (three workouts per week are recommended). Winners will be announced on October 6, 2018. All contestants must participate in the initial and final testing! The initial testing must take place the the last week of August. The final testing must take place the first week of October. All contestants are required to follow our training program at Golightly Fit and must complete the information and liability forms. Rules for each event will be strictly enforced. No refunds are given after the registration fee is paid. FOR ALL INQUIRIES, EMAIL CONTACT@GOLIGHTLYFIT.COM OR CALL 770-687-2317.